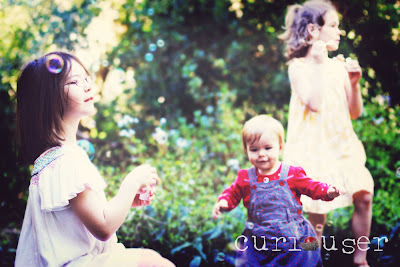 My very first weekend as Curiouser Art & Photography, which just happened to be in Adelaide, was so much fun! There was such a variety of locations and styles going on, I had an absolute ball. Three full photo sessions, one half photo-sess / half playdate and one playdate that turned a bit photographic ;) Two and a half days of gorgeousness - garden, beach, bedroom and abandoned warehouse locations. Sneak peeks of the sessions have been posted over the week over on my blog, and there are a few extra on Curiouser's facebook page that haven't been blogged yet... If you'd like to be on the email list for Adelaide sessions, just email adelaide@curiouser.com.au and we'll let you know the next time a trip is planned!